Slowly but surely, and without any of us noticing, Drake staged some kind of takeover. Arguably, he's been taking over for a long time, but it's not until recently that we're really feeling how true it is. Drake has hosted Saturday Night Live and the ESPY Awards, he has dated Rihanna and had his own line of lint rollers, and now Drake has his own holiday. No, seriously. The city of Houston, Texas has declared June 10 to be Drake Day because Houston loves Drake even more than Drake loves Houston. Drake posted a picture of the official Drake Day proclamation on his Instagram account Thursday night and it detailed how this amazing event came to be. "In 2008," the paper reads. "Lil Wayne invited Drake to fly to Houston and tour with him, and as a reesult, Drake has been a City of Houston Ambassador, paying homage to Houston through his lyrics... such as when he coined the term Houstatlantavegas... Therefore I, Annise D. Parker, Mayor of the City of Houston, hereby proclaim June 10, 2014 as DRAKE DAY in Houston, Texas." June 10 has already come and gone, but that doesn't change the fact that Drake has his own official city holiday. How long will it be before New York declares a Drake Day of its own? Or California? Or Drake's home country of Canada? In fact, why aren't all of us celebrating Drake Day every day of the week? If you're disappointed that you won't be able to make it to Houston for Drake Day 2015, then don't worry. We've got some helpful tips for how you can celebrate a Drake Day of your own. 1. Decorate the room with OVO Owls. October's Very Own, or OVO Sound, is the record label that was founded by Drake. The OVO owl is as recognizable as it is vaguely creepy. Start your room decoration by sticking as many of the OVO owls as you can all over the place. Put it on the party hats, put it on the shirts, put up posters of it over the windows. 2. Play your Drake mix. Everyone should have a Drake mix. This is the most obvious step in planning a good Drake party. From his early mixtapes to his full albums, Drake has been giving us good music like it's his job or something. For bonus points, try to put together some of his more obscure songs. There are only so many times you can listen to "The Motto", you know. 3. Hand out YOLO party favors. Sure, YOLO is dead thanks to Jeopardy, but that's no reason not to get nostalgic. Even though Drake himself apologized for YOLO on Saturday Night Live, it was still a big thing once upon a time. Give your guests wrist bands that say YOLO on them when they're arriving. Nothing says party hard like reminding everyone that they only live once, right? 4. Dress your friends up like Nicki Minaj and Lil Wayne. Nothing says Drake party like his favorite members of the Young Money crew partying alongside him. Whether you're wearing the Nicki Minaj pink wig or the Lil Wayne dreads, if you wanna celebrate Drake's holiday then you gotta get with his friends. 5. Put on a basketball game. 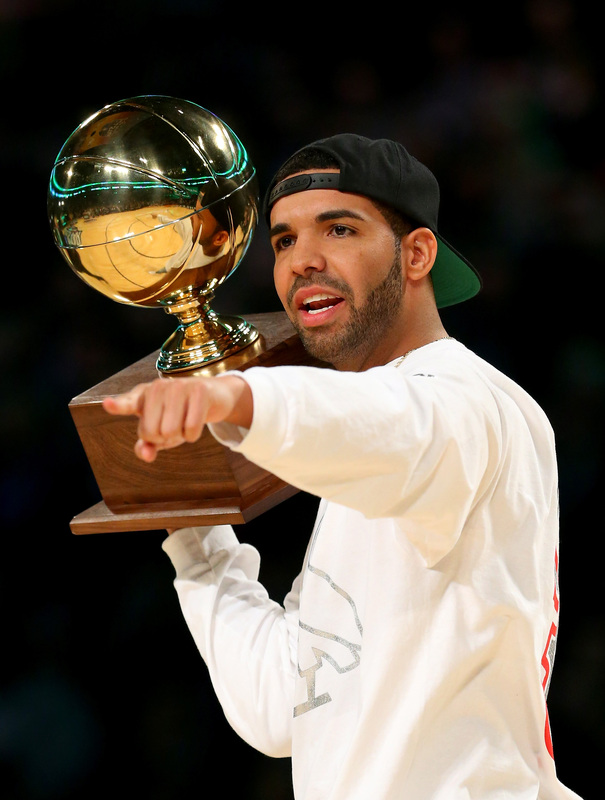 Drake loves basketball so much that he wrote a whole song based on references about it. (Listen to "Draft Day" and then get down with your bad self.) If you have to have the television on at your party, make sure it's set to ESPN while they're playing a basketball game. 6. Play some hockey and buy a moose, eh. Drake's from Canada and his existence is almost enough to make up for Justin Bieber's whole career. Start sticking maple leaves everywhere and buying little moose stuffed animals. Or the entire box set of his stint on Degrassi. Or all of the above. It's the next best thing to learning all the words to "O Canada". Happy Drake Day!